Monday, Thursday, Friday, Saturday, Sunday. 8:00am-5:00pm weather and season permitting. Yes, click the “ Book Now ” button above to make a reservation. There is no fee or fee or charge to make a reservation/booking. You can also Call or Email us to make a reservation. Yes, our operation runs all year long. Our location and views are amazing during summer and winter months. Make sure to wear appropriate clothing for the current temperature that day. What if I’m not 18? Parrental consent? 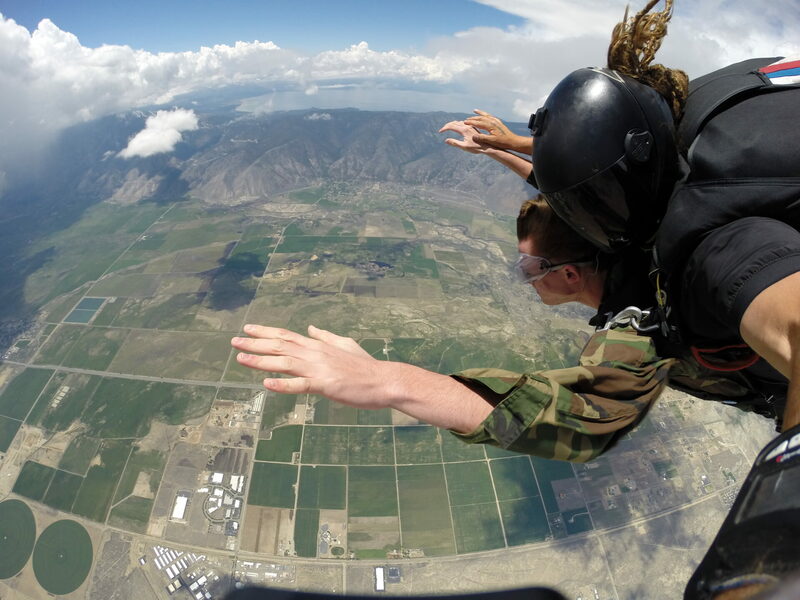 You CAN NOT skydive unless you are 18 years of age or older. You must also provide a valid ID at your appointment time. Without an ID you will NOT be allowed to skydive. Parental consent does not matter in this case, you must be 18. Are Pre-Pay and Gift Certificates Available? Yes, click the “ Certificates” button above for more information..
Click the “ Location” icon above to see our location. We are a short drive from all Lake Tahoe and Reno areas. Also provide services to all Northern California areas. Travelers from all parts of the world are pleased with this perfect location. How do I find the Airport? Location” button above for complete directions. We specialize at Tandem Skydiving at the Minden Airport. 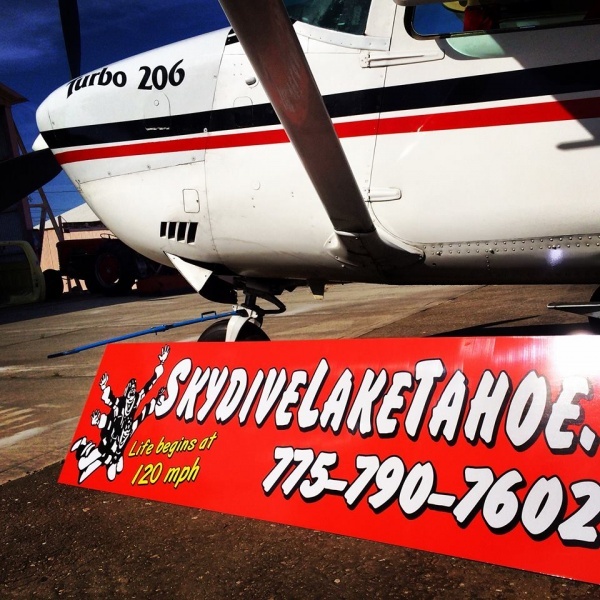 Why should I Choose Skydive Lake Tahoe? Amazing views and highest level of customer safety, enjoyment, and service. Our location and services are world-class, come visit us to find out! Digital Video and Photo Packages are priceless! All payment is made at our location before boarding the aircraft. You can also purchase now by clicking “Certificates” above. If you have a Certificate, payment has already been made. Do you offer Photos and/or Video Packages? Yes, we offer both in amazing quality. 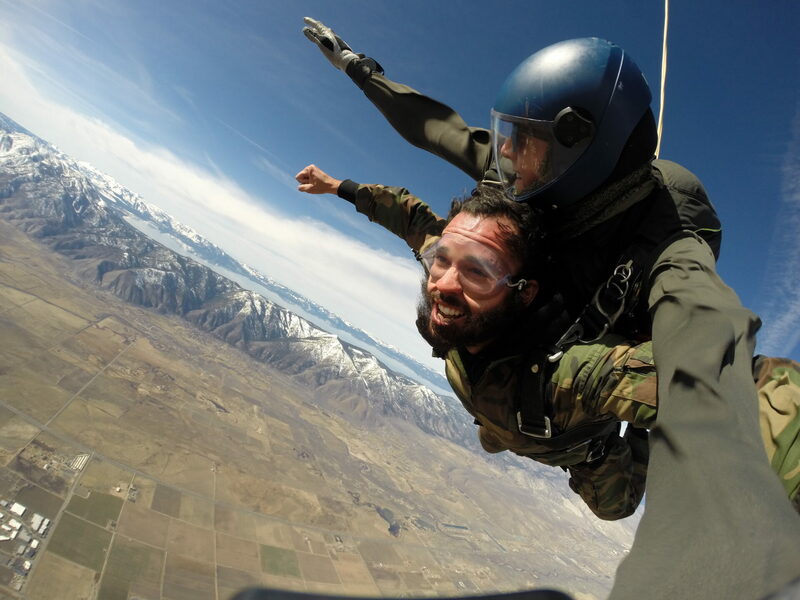 Professionally edited and tailored to each skydive. Service is provided on a complimentary memory stick. What/When/Where/How will I Train for the Jump? Training is done on the day of the jump and only takes a few minutes. The experience is explained and practiced before each jump. We like to keep things simple and safe with a brief but thorough training. How Long Do I Fall? You will free-fall for nearly 60 seconds. Who will Deploy the Parachute? Your Tandem Instructor will take all the responsibility in deploying the canopy. This happens at the correct altitude of 5,500ft (1 Mile) above the ground. How long is the Canopy Ride to the Ground? Parachute ride to the ground lasts roughly 5 minutes. Enjoy personally piloting the canopy with assistance from your instructor. Normally there is no impact and you simply stand up or sit down softly. Wear comfortable clothing appropriate to the weather and laced shoes. Weight limit of 220lbs applies. However if you are between 220 and 250 we may be able to skydive with you if you give us a few days notice. Can I breathe in free-fall? Yes, there is lots of air around you. It is an indescribable experience. Simply put, you just have to try it. 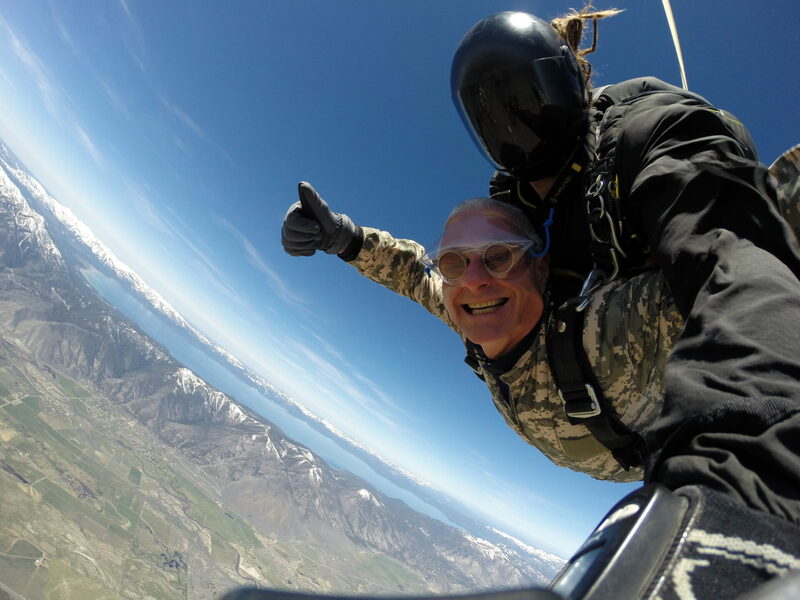 Many people describe the free-fall as a feeling of “Flying” through the sky. The parachute ride is often described as “Floating” in the air. We typically go to 12,500 feet above the ground. 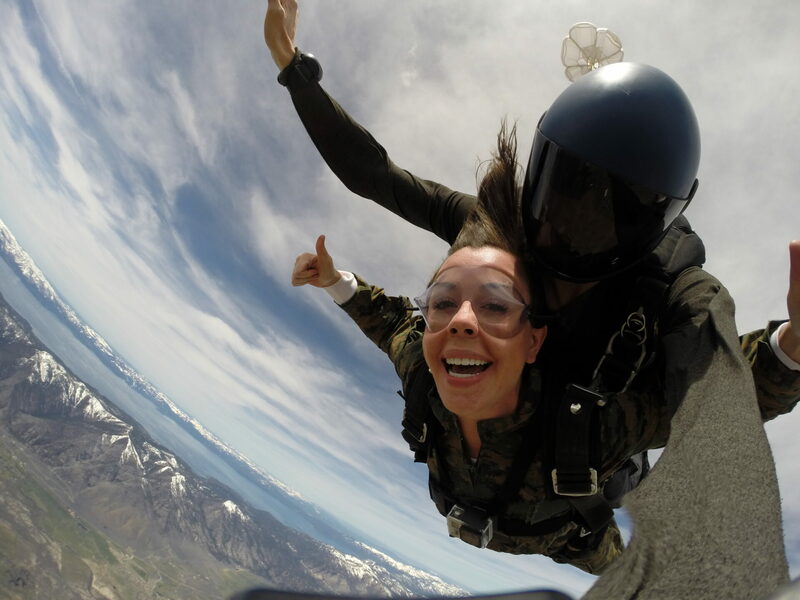 All instructors have thousands of jumps and are professional in nature. 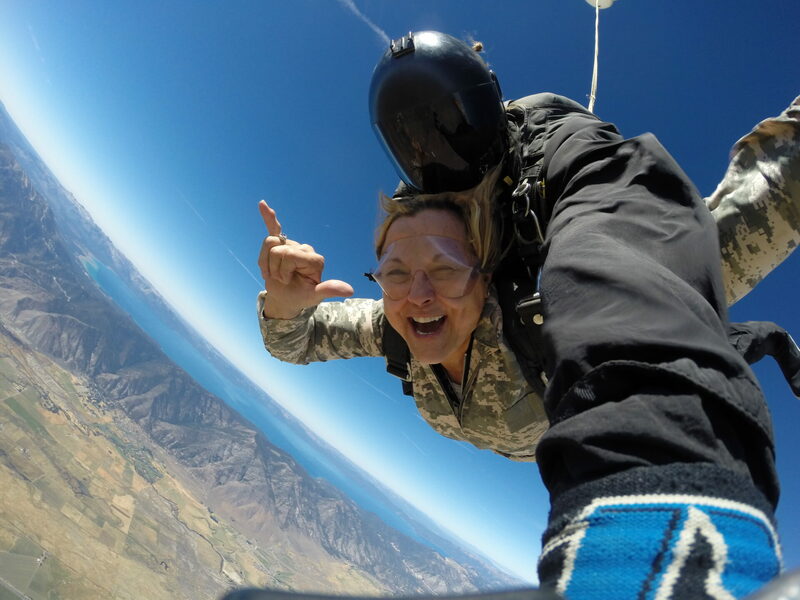 Our instructors are certified by the United States Parachute Association. Instructors greatly enjoy sharing the experience with others. 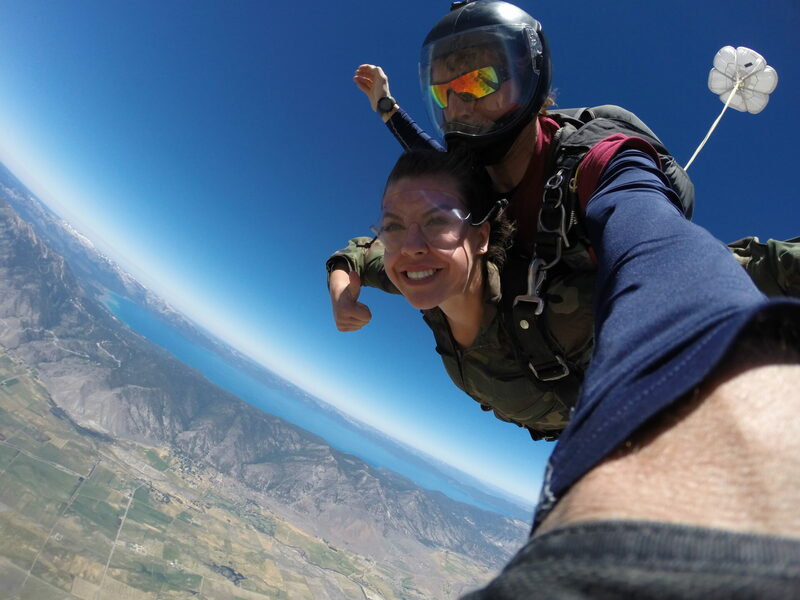 How long will I be there for my Tandem Skydive? You should plan on spending 2-4 hours. If you come with a large group, it will take longer. One person may take less time. Statistically, Tandem Skydiving is very safe. Modern equipment and training resolve much of the risk. 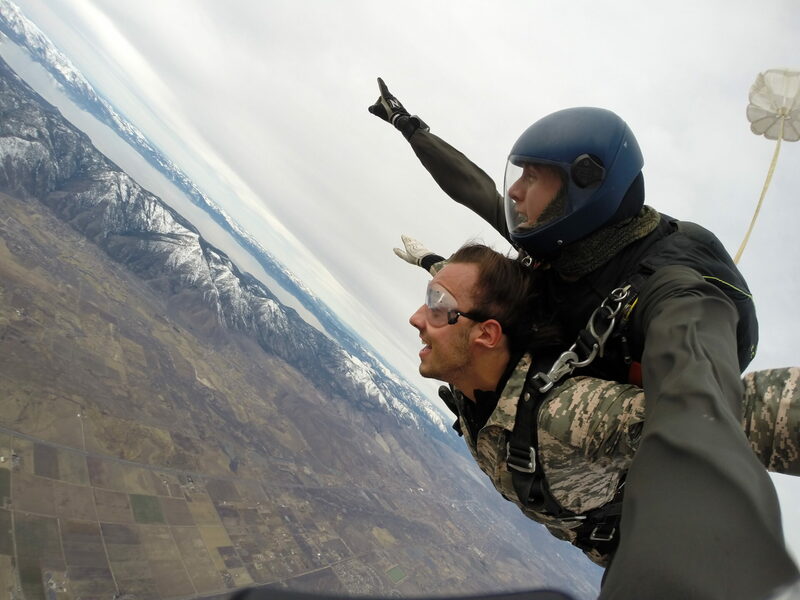 Some hazards are always associated with aviation and parachuting activities. How many parachutes will I have? 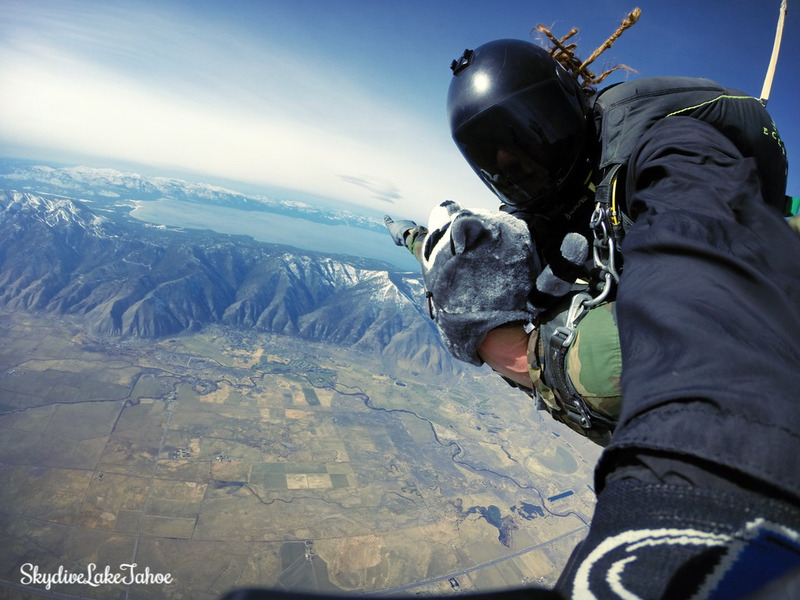 All skydiving equipment is assembled with a main and reserve parachute. What if there is a problem with the parachute opening? Parachute malfunctions are considered rare occurrences. The instructor detaches the main parachute and deploys the reserve canopy. Reserve parachutes are inspected/packed by a certified FAA Parachute Rigger. I have a medical condition, can I still jump? Consult your physician with questions regarding any medical limitations.